The Sierra Nevada of California is one of the great mountain ranges of the world. The soaring granite peaks, the deep glacial valleys, and the towering Sequoia trees represent some of the most beautiful sights to be seen anywhere on the planet. 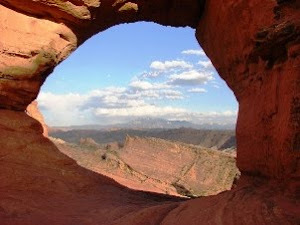 What is less known is that a portion of the Sierra Nevada is present elsewhere in the state. Around 30 million years ago the San Andreas fault system became active and sliced off a portion of the southern Sierra Nevada batholith and carried it northwest for several hundred miles. 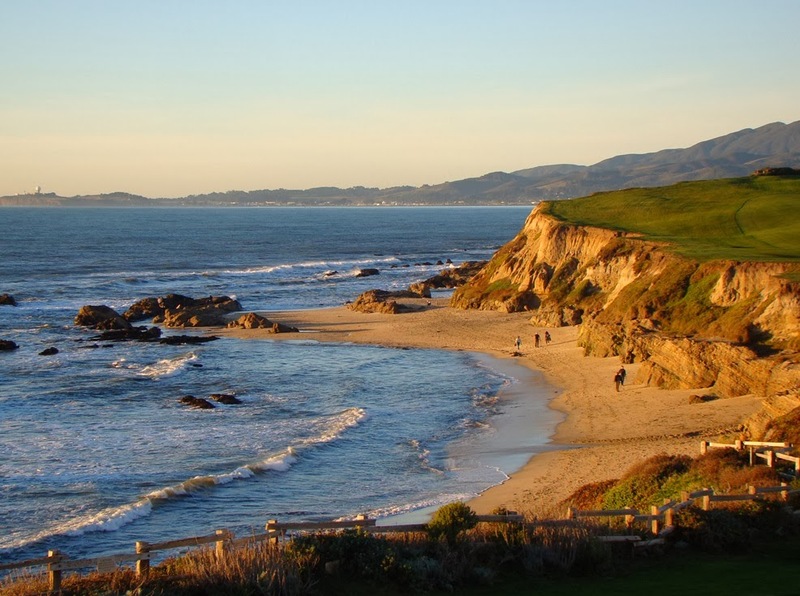 It now makes up a considerable portion of the Central California coastline, stretching from Big Sur on the south to Bodega Bay on the north. It is in my humble opinion one of the most beautiful and dynamic coastlines to be found anywhere on planet Earth. I recently finished my latest blog series, and I present here a compilation of the fifteen entries in the series. If you missed any, here is the place to find them! A sneak peak at the coming series. 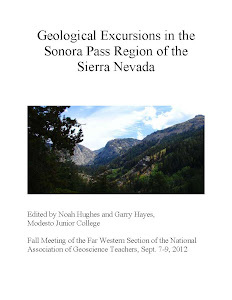 At this point I hadn't fully appreciated that I was going to be covering the entire Salinian Terrane, so I didn't mention the Sierra Nevada connection in the first post. With the second post I hit upon the idea of the Sierra Nevada connection with my exploration of Limekiln State Park in the southern part of the Big Sur coast. 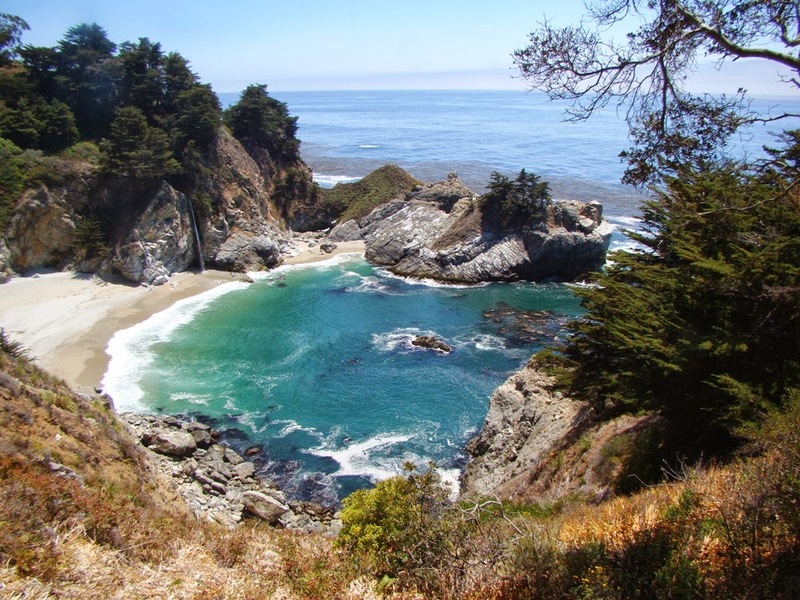 It is a stunningly rugged stretch of coastal cliffs, and amazingly, the state of California almost shut down this beautiful place. I punted on this one. I wrote this blog four months earlier about what may be the prettiest cove along the prettiest coast in the world. But the post fit well with the theme and scope of this series, so here it is: one of California's two tidal falls. And gigantic landslides. 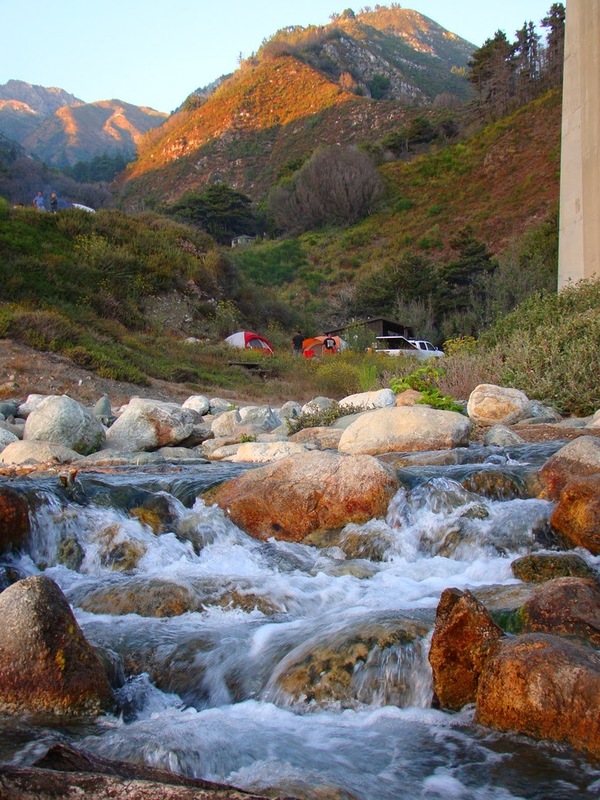 A short distance inland from the coast we discover a gem of a state park, Pfeiffer Big Sur. 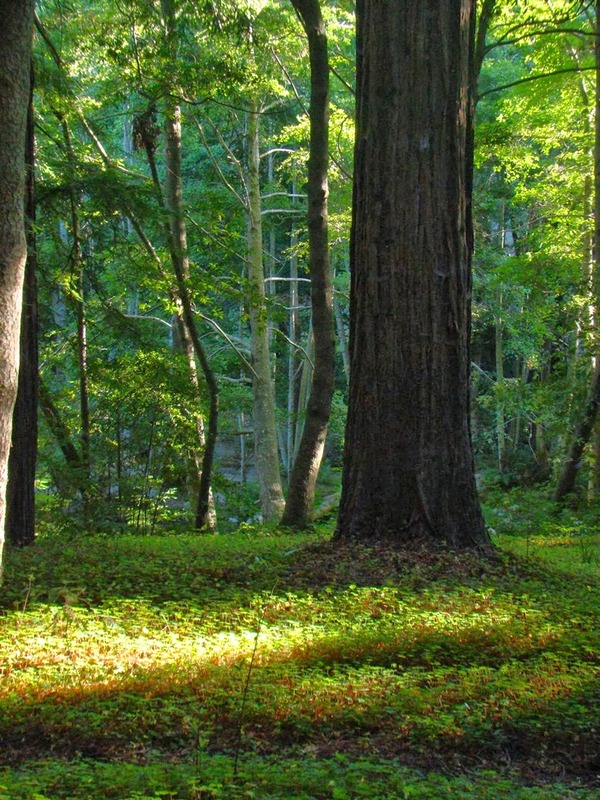 The Sierra Nevada has the Sequoia trees, Big Sur has Coast Redwoods. And both the Sierra Nevada and Big Sur have huge wilderness areas. The wildlands around Big Sur are far less crowded. 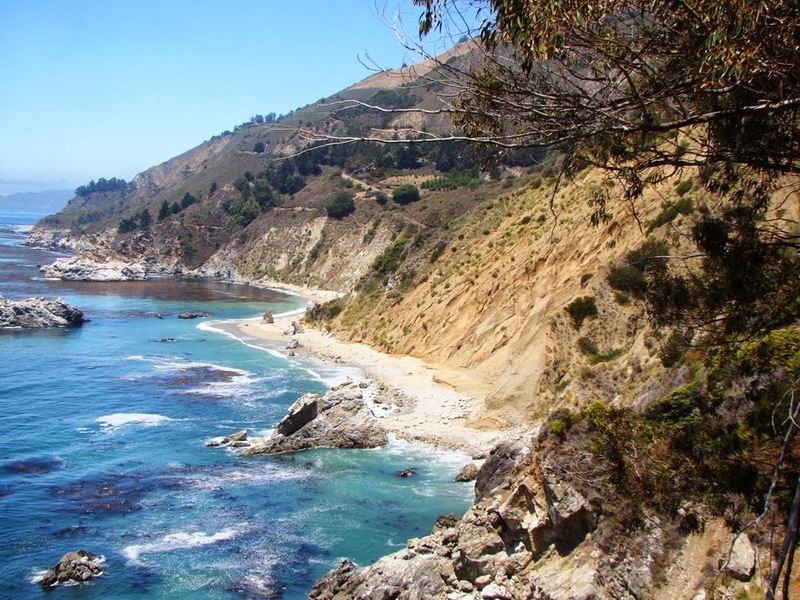 Big Sur has some nice beaches, and not all of them are on the main highway. 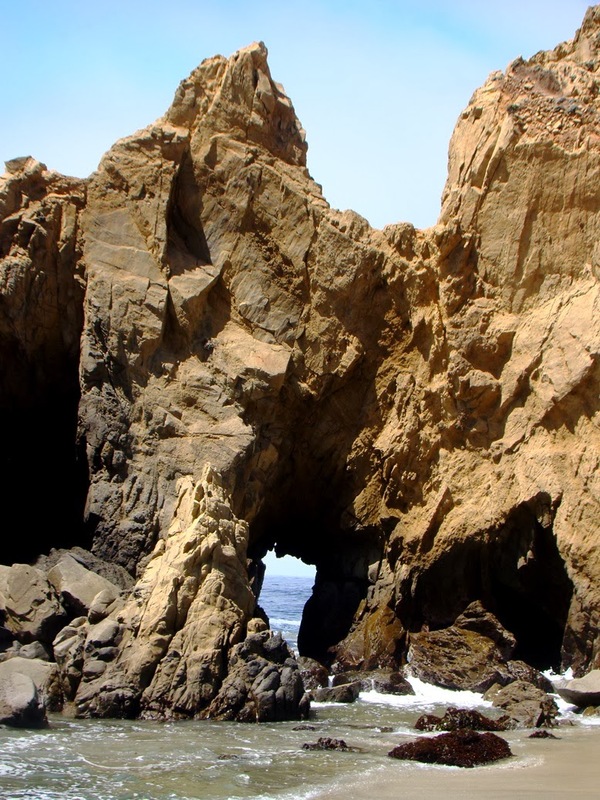 You have to be a bit of a sleuth to find Pfeiffer Beach, but it's worth the effort. And...garnet sand beaches! 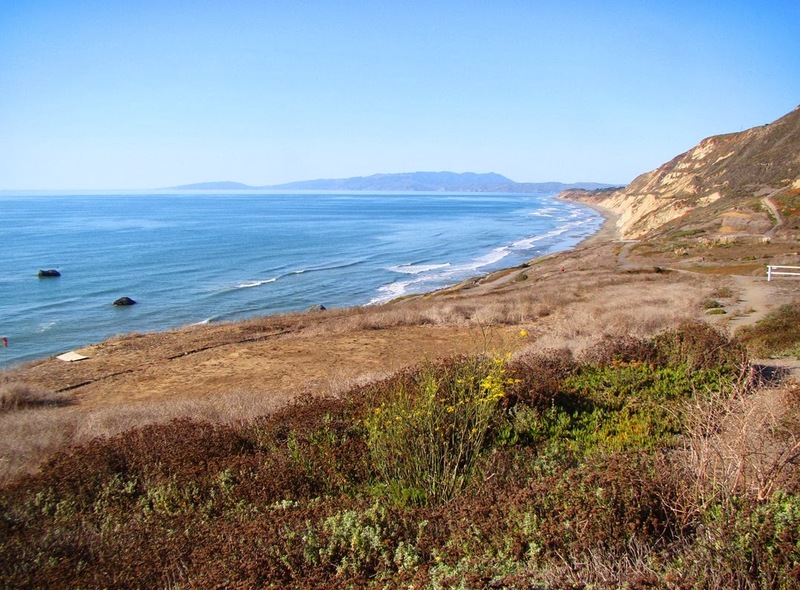 One of the lesser known beach parks of the central California coast, Garrapata is a beautiful place that belies its horrendous name ("tick" beach). It has some of the nicest exposures of "Sierran" granite in the region. 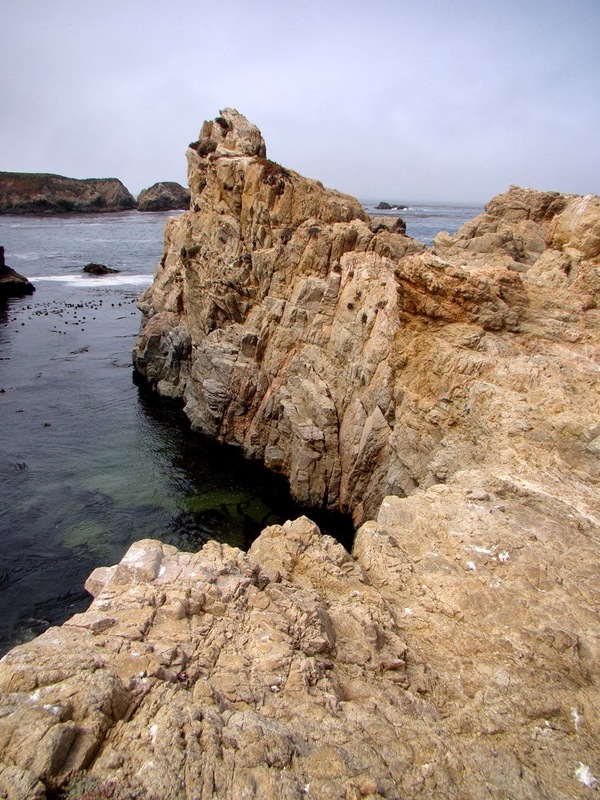 Point Lobos was named for the seals and sea lions, not for terrestrial canines. It is another gem along the coast with unique exposures of conglomerates that accumulated in deep underwater canyons that rival Yosemite in their depths. 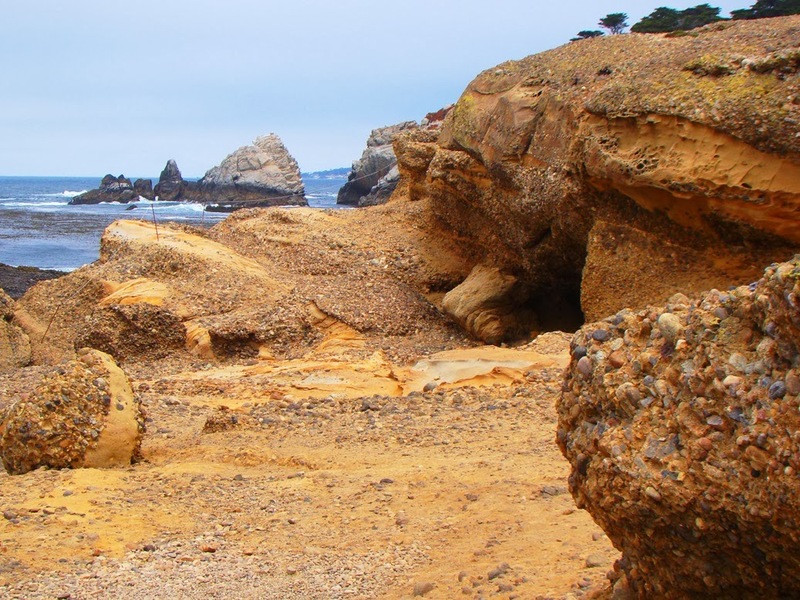 We finish our journey through Point Lobos and move north onto the Monterey Peninsular. Here it is trees that take up some of the geologic story. 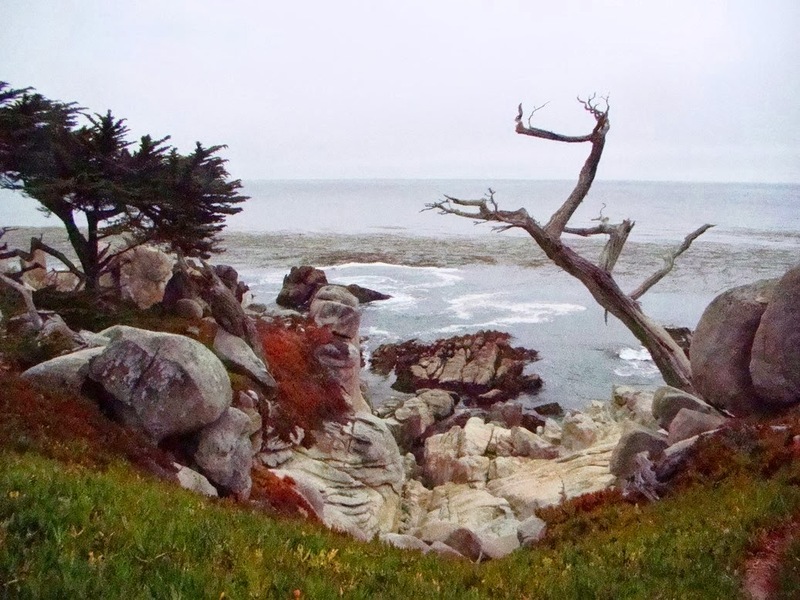 Monterey Pines grow naturally only in a few places, mainly on the Peninsula, but have become one of the most widely planted trees in the world. The Monterey Cypress is another unique species in the region. 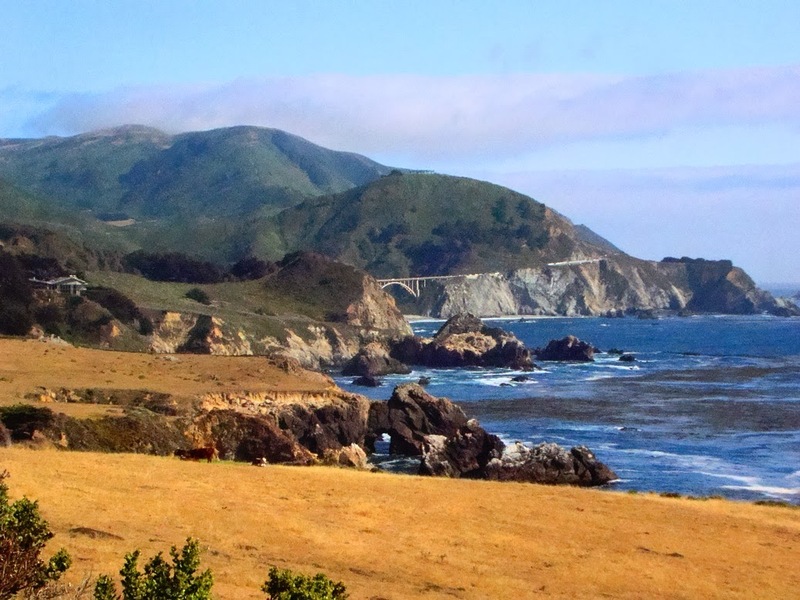 We take a look at coastline of totally different character as we reach the Half Moon Bay region. There are prominent marine terraces that make for gentle scenery (and apparently great golf courses). There are some nice tidepools in the area, and during the right time of year, the Mavericks hit, the gigantic waves that bring surfers from around the world. 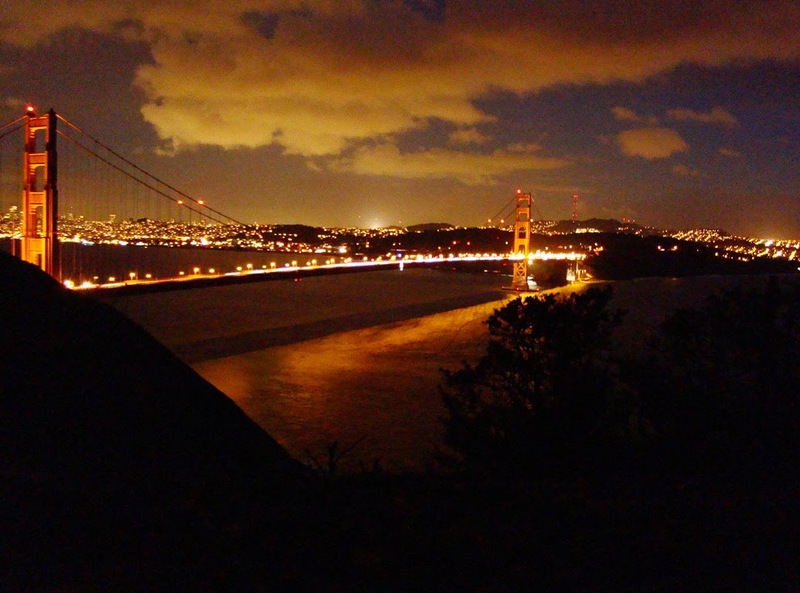 Maybe you haven't heard that there is a big bridge that connects the city of San Francisco with the Marin Headlands and the rest of Northern California. It's not likely, but it's possible. There is some interesting geology going on underneath the bridge abutments. 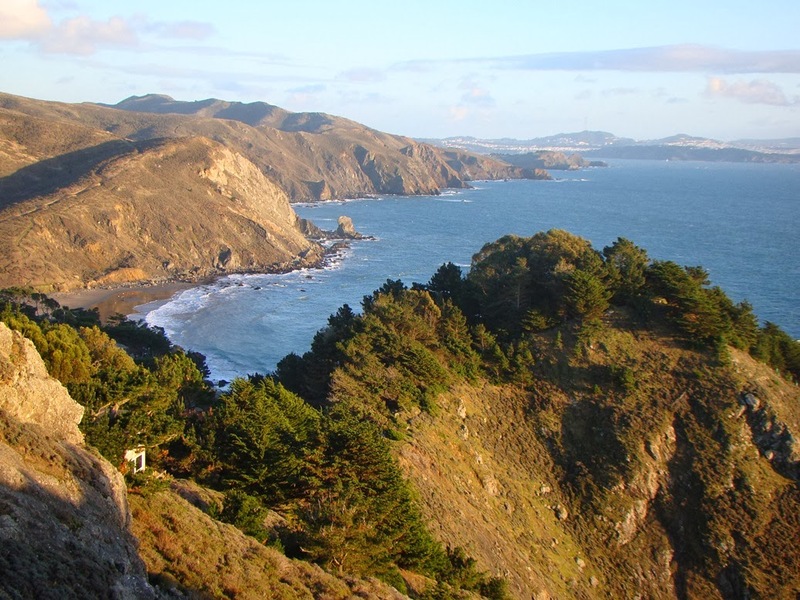 The Marin Headlands expose rocks that were once part of the midocean ridge, the vast planet encircling mountain range that no mountain climber can ever hope to climb. The scenery on the Marin is majestic. And to invaders in World War II, the cliffs would have been deadly. 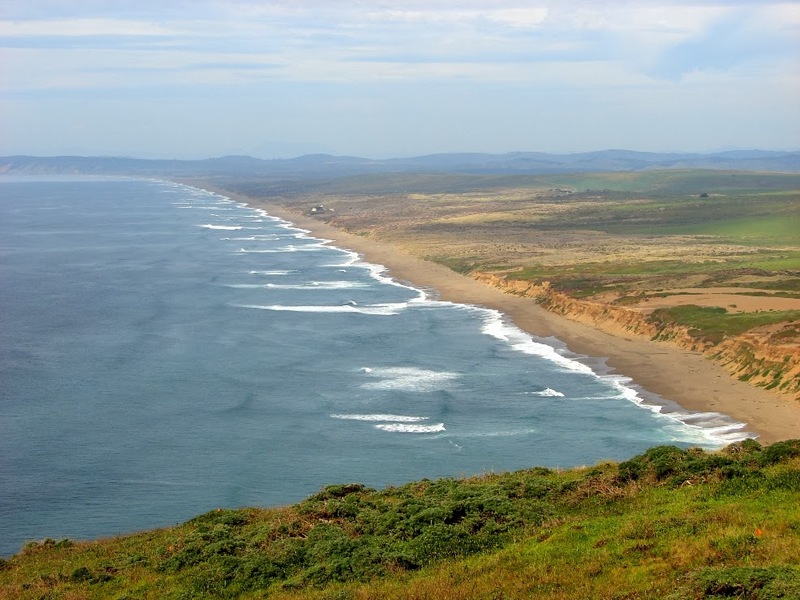 The Point Reyes Peninsula has wide sandy beaches, sand spits, a bay that may have been a landing for Sir Francis Drake, Tule Elk, and a lighthouse that has to put up with some really rotten weather. 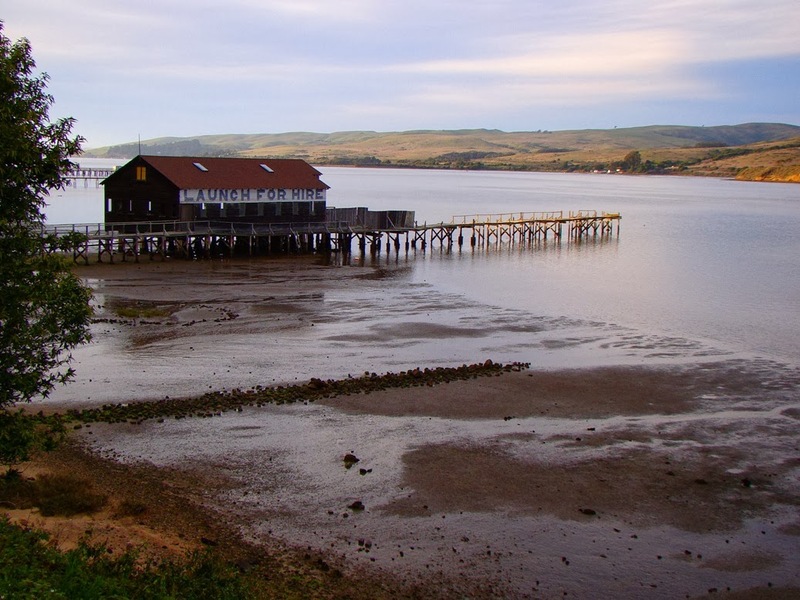 If the Point Reyes Peninsular bears the brunt of violent Pacific Storms, the mountains of the peninsula shelter the lands to the east. Two bays along the San Andreas fault are peaceful and serene, which belies their violent origin. 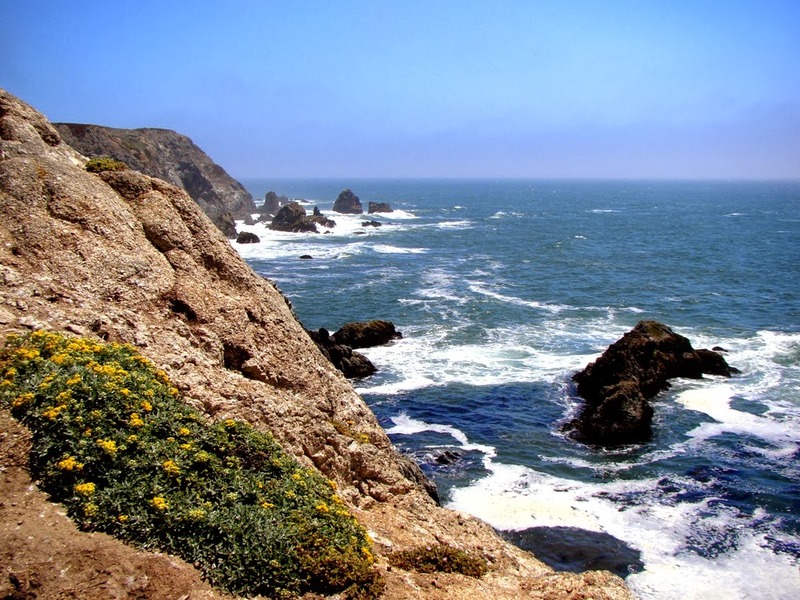 We wrap up our exploration of the Sierra that rises from the sea with a look at Bodega Head, the site of a classic horror movie, and a horror story with a nuclear reactor as the main character. A reactor that was almost built on top of the San Andreas fault. It's also the northernmost exposure of the Salinian/Sierra Nevada rocks.